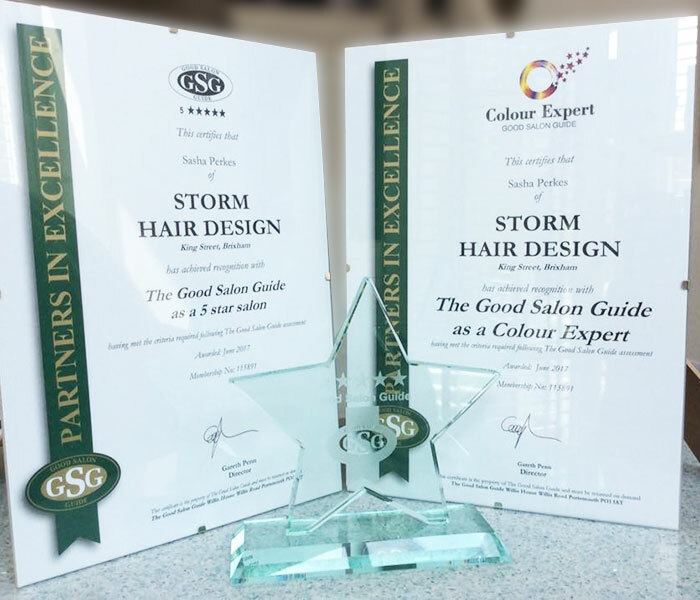 ‘The Good Salon Guide, the only independent guide to quality standards in hairdressing in the UK and Ireland, is delighted to announce that Storm Hair Design, Brixham, Devon was recently awarded a 5 Star and Colour Expert rating. Hello I’m sasha and I’m a Senior Designer/ Director here at Storm. Also an ambassador and Educator for Matrix. My area covers the South and South West of England. With over 15 years in the Industry, I am always fighting to be the best I can be. My multiple courses and global experience has provided me with a strong foundation, that you will see within the salon and the work that I do. Training my team is my priority as the industry is forever changing and technology is moving faster than ever! 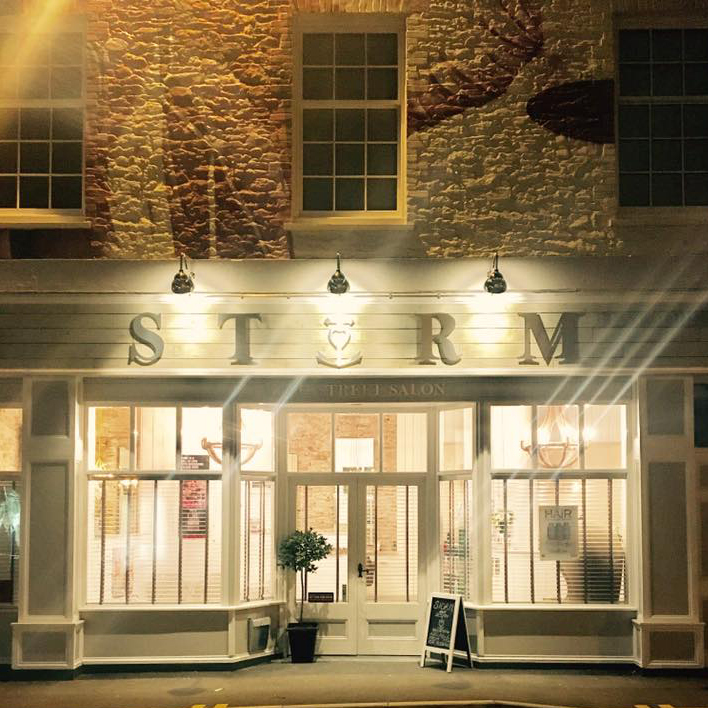 So here at Storm we keep up to date with new techniques, technology and fashion. I specialise in Colour, bridal hair & hair extensions to keep all our clients as glamorous as they can be. We all really hope you enjoy the experience with us and hope to see you soon! 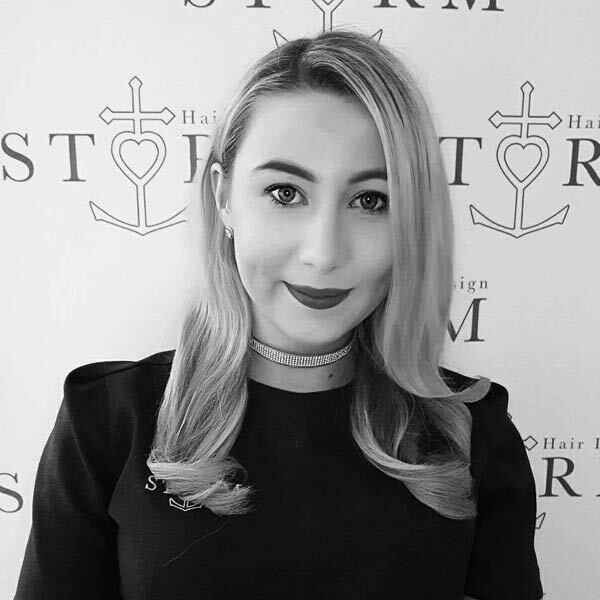 My name is Aimee and I’m a senior stylist here at storm. 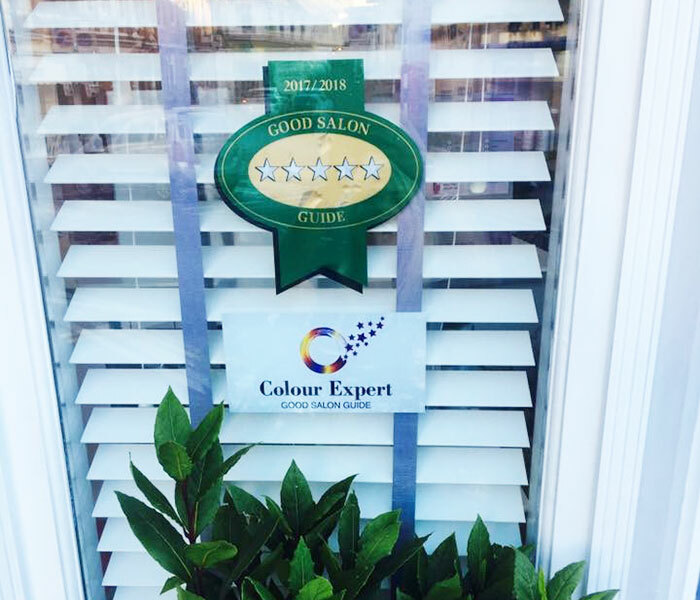 With a passion for all aspects of fashion styles colours and cuts I’m an enthusiastic individual who loves delivering excellent hair treatments at a high-level. Currently am level two & three qualified, and also working towards the A1 assessors degree at south Devon college. I love to keep up-to-date on the latest trends on modern looks. I have worked in various salons since the age of 14 and I have a real passion in the industry. I specialise in cuts colours & hair up. I’m more than happy too advise clients on products and how to maintain their hair. I love having the ability to change someone’s look and give people confidence in such a personal way. Hope to see you soon! 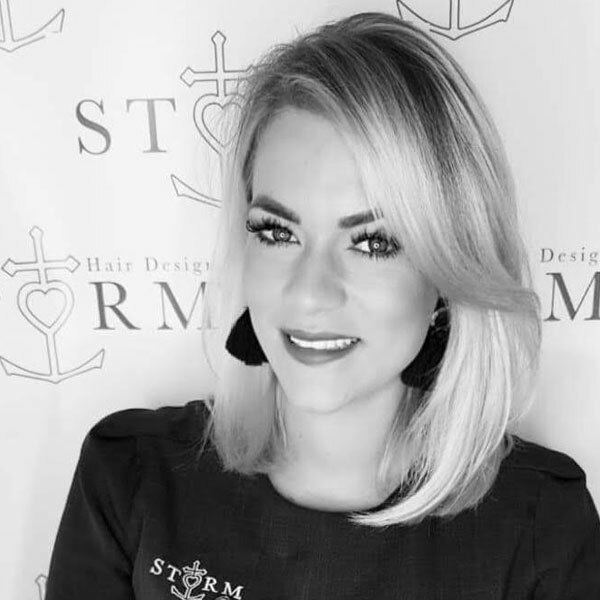 I’m Shannon a stylist here at Storm. I’ve been working here since it opened in September 2016, so I have seen how much it’s grown and feel lucky to be a part of it. I really enjoy all aspects of hairdressing though my favorite has to be coloring. I’m quite creative with my hair up, braids and styling also. I think it’s so satisfying seeing the change from before to after. I’m always wanting to learn new techniques and skills to improve my current ones. I believe storm is the perfect place to do so. I really do enjoy working here and I hope to see you soon! 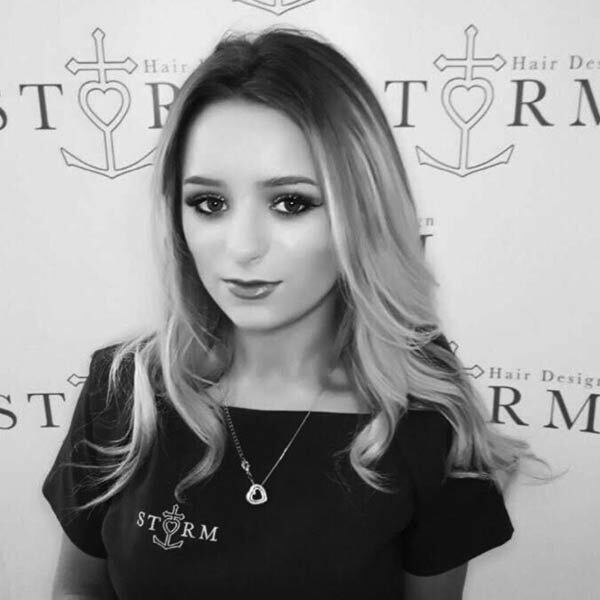 I’m Bonny and I’m the apprentice here at storm. I’ve worked here I was a Saturday Girl since it first opened in September 2016 and now I’m working full-time as a apprentice While attending E-Hair training academy to complete my NVQ in hairdressing. Hopefully I will be qualified in just over a years time.I love everything about doing hair and enjoy learning different techniques from all the amazing stylists. I can’t wait to carry on my journey of becoming a hairdresser and I look forward to meeting you all! 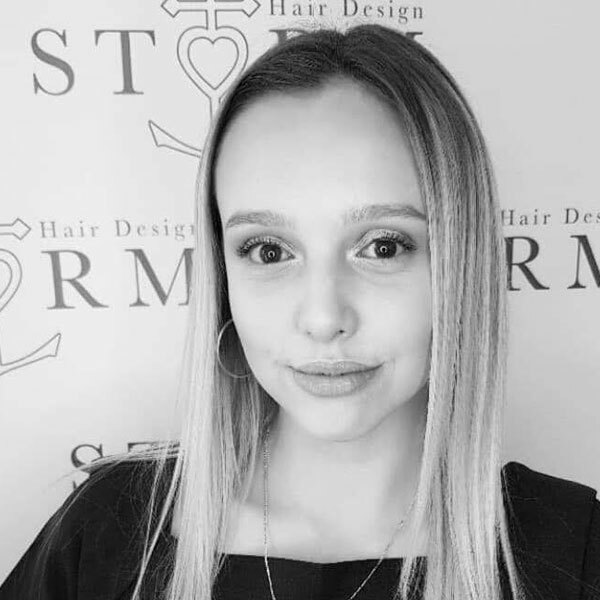 Hi my names Ella and I’m one of the apprentices at Storm Hair Design. I started working here at the beginning of May, however have been doing hairdressing since just after I turned 16. Currently I am studying level 2 hair professionals at South Devon College in which I am aiming to achieve my NVQ in hairdressing, hopefully being qualified in around 8 months time. 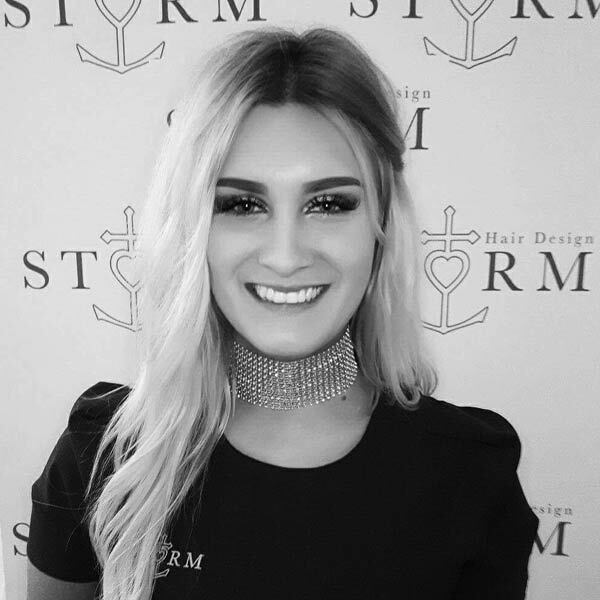 I’ve always had a big passion for doing hair ever since I was little and cannot wait to start my journey as a stylist at Storm. I look forward to meeting you soon!